Information you post. We collect information you post in a public space on our website or on a third-party social media site belonging to Shree Hospital and Maternity. You can opt out of receiving our marketing emails. 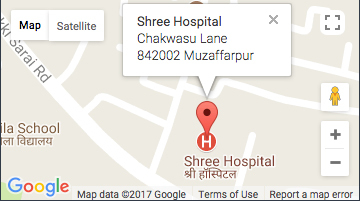 To stop receiving our promotional emails, please email onlineshreehospital@gmail.com It may take about ten days to process your request. Even if you opt out of getting marketing messages, we will still be sending you transactional messages through email and SMS about your purchases.